Although Marilyn Manson [and the Spooky Kids] has had many line ups, the one portrayed in this picture has done the most for me. 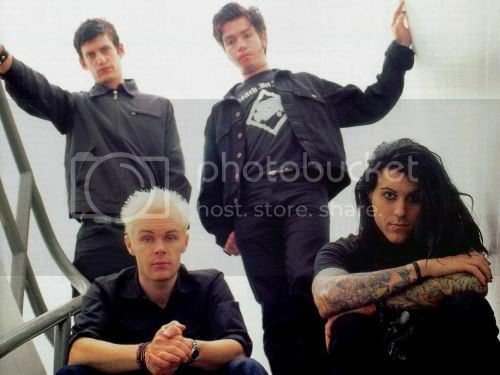 Mr. Manson, Tim, John 5, Pogo, and Ginger. The controversial screams are what got me through the worst summer of my life; summer 2005. I don't know what I would have done with Marilyn Manson. Some people say Manson's lyrics and the band's look is the work of Satan and that it corrupts kids. Well, not this one. The music helps me to express my feelings and question everything. Don't believe everything you are told. Be yourself and do what you want to do.